Hosted by Chill Moody of nicethingsMUSIC, Ofo Ezeugwu of Whose Your Landlord, and DJ Royale. Music by Vinnie Paolizzi, Brianna Cash, Milton, and ILL Fated Natives. Professional Admission ($50) (Limited Quantity! 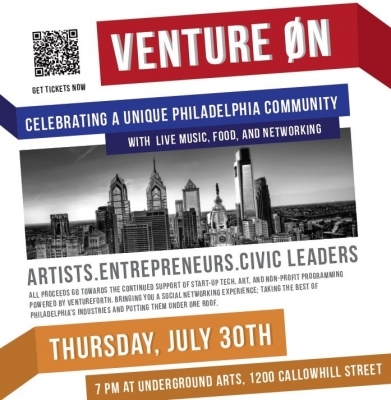 ): includes admission, live entertainment, a food ticket, AND a one month free membership to Venturef0rth! Contact support@recphilly.com to purchase any ticket packages.